The Princess Street riverfront complex is a fascinating story, told from prehistoric times to the present. Long before settlers arrived, this area was a seasonal home to numerous Native Americans. They camped along the shores of the Cohongoroota, their name for the Pack Horse Ford section of the Potomac River, which means the sound of the wild goose. Wagon trains crossed the Conestoga Path at Pack Horse Ford, bringing early settlers into the lower Shenandoah Valley. Some of the early German, English, Scotch, and Irish settlers stayed here and built numerous mills along the many streams that fed into the Potomac River, especially Town Run. 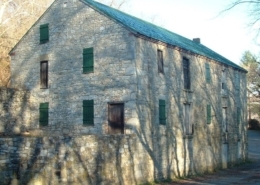 Thomas Shepherd built the first grist mill in 1738, which still stands at the top of the ravine above the riverfront. He actively sought mill workers, and by the 1790s the population was over 1,000. The community was first called Pack Horse Ford. Shepherd was granted a charter for the town of Mecklenburg in 1762. In 1798, the town’s name was changed to Shepherd’s Town to honor the founder. Just down river was Boteler’s Cement Mill. 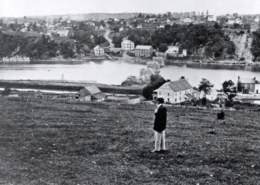 During the Civil War, it was the site of the Battle of the Cement Mill. 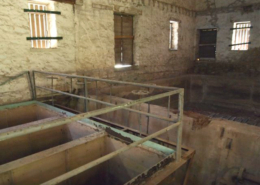 When the business was rebuilt on a smaller scale, historians believe that cement was stored in the Mecklenburg Tobacco Warehouse. 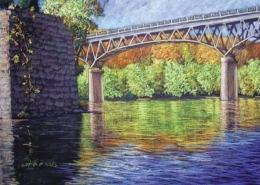 Hydraulic cement was used in building many of the structures along the C&O Canal. This type of cement was especially useful because it hardens under water. Local cement was also used to construct buildings in Washington, D.C., including the Washington Monument. Further down river Antietam Ironworks, circa 1765, forged cannons during the American Revolution. Metal parts for James Rumsey’s steamboat were forged at Antietam in 1786. 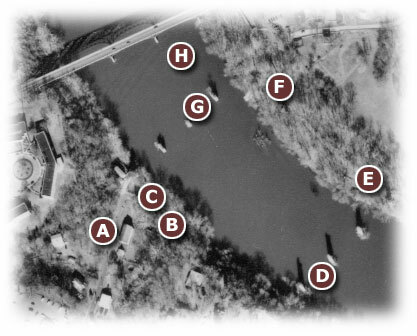 Potomac River and Town Run access in the Corporation are provided at the end of North Princes Street. 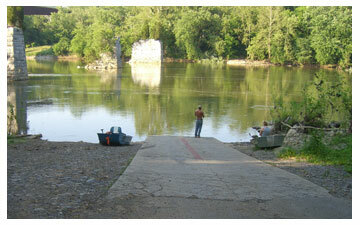 A boat launch ramp and parking is available for recreational fishing, kayaking, etc. 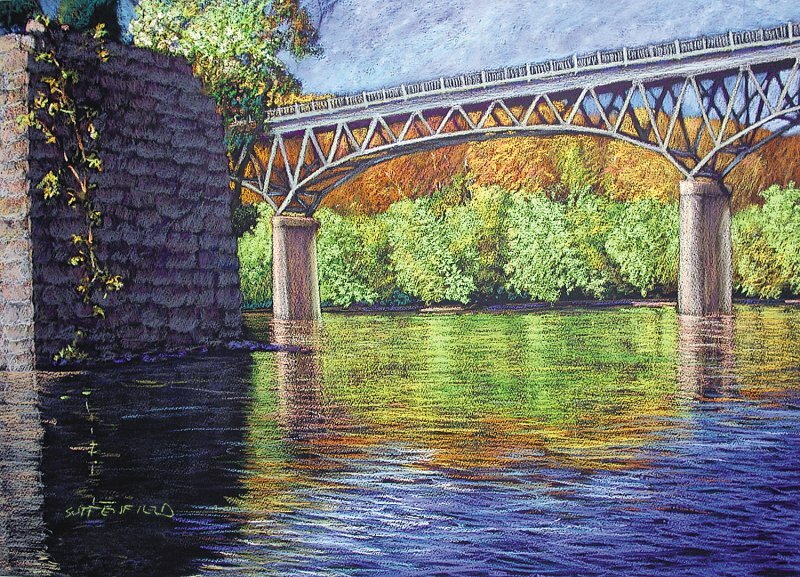 Through the combined efforts of everyone involved, the riverfront can be an exciting place for local citizens and visitors to enjoy the peaceful scenery and river activities in a historical setting.